ARMMAN is governed by our Board of Trustees who are leaders in their individual fields, they make sure we’re doing all we can to reach, help and enable a healthy pregnancy, childhood and adolescence for every woman, child and adolescent in the country. Dr Aparna Hegde is India’s leading urogynaecologist and pelvic floor reconstructive surgeon. She holds MD, DNB, FCPS, DGO degrees; Master’s degree in biological sciences from Stanford University and International Urogynaecological Association and International Fellowship in urogynaecology and pelvic reconstructive surgery from Cleveland Clinic, Florida. 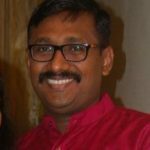 Mr. Sirigeri is an accredited consultant/associate to a public sector undertaking under the Ministry of Commerce, Government of India since 1995. He has been a nodal consultant for the above PSU to steer CARE & USAID projects for monetisation of the aid by way of vegetable oils from Canada & USA . 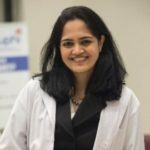 Dr. Srikrishna Solgudu Ramachandra has an MD from St. John’s Medical College, Bangalore, and an MPH from Tulane University School of Public Health and Tropical Medicine, New Orleans, USA. He is a PhD candidate at the School of Health and Social Development, Deakin University, Melbourne, Australia. 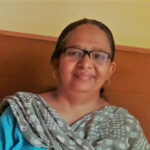 Dr. Geeta Ghag is MBBS, MS – General Surgery and serves as an Associate Professor in Surgery at Lokmanya Tilak Municipal Medical College and General Hospital (Sion). 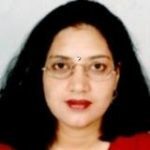 Mrs. Sandhya Kanchan has an MSc degree and she is Executive-Regulatory Affairs at J.B. 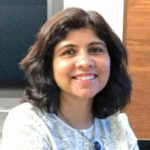 Chemicals & Pharmaceuticals Ltd.
Dr. Janhavi Raut is the Principal Research Scientist at Unilever Research, India and former visiting professor at the Indian Institute of Technology, Delhi. She has completed her B.Tech(Chemical Engineering) from the Indian Institute of Technology, Bombay and M.S. and Ph.D ( Chemical Engineering) from the Pennsylvania State University. 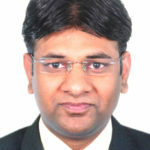 Dr. Dayashankar Maurya is currently studying Health Policy at National University of Singapore. He has a Masters degree in Public Policy and an MBA in Health Management. He has worked with International NGOs and UN agencies in India, Thailand and Cambodia in the areas of HIV, Maternal and Child Health and Reproductive Health. 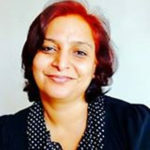 Mrs. Chanda Kathuria is a full-time faculty at R.A.Podar College, visiting faculty at Welingkar Institute of Management and a Director at an IT company in Mumbai. 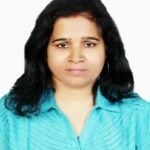 She has completed her Masters in Commerce and a Diploma in Higher Education from the University of Mumbai and has an MBA in International Business from the Institute of Chartered Financial Analysts of India (ICFAI). Mr. Arindam Mukherjee has over 26 years of experience in leading, creating & growing businesses across sectors. 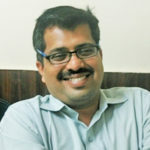 He holds an Engineering Degree in Electronics & Communications from University of Mysore, India and has various executive leadership programs from Wharton, INSEAD and Management Centre Europe, Brussels.